False or misleading product declarations by a retailer could lead to heavy repercussions, hefty fines, or legal action. In the U.S., the Consumer Product Safety Improvement Act (CPSIA) mandates that retailers have a legal obligation to report a product that may pose a substantial risk or cause injury. As a retailer, your bottom line depends on protecting your reputation and selling products that keep your consumers coming back. But what can you do to help verify the safety and quality of the products you sell or are considering stocking on your shelves? 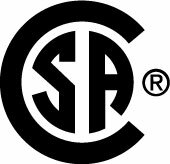 CSA Group offers third-party, independent verification, inspection and testing for a range of retail products, so you can make informed decisions that help keep your customers happy. Simplify with a one-stop testing provider: We test a wide variety of products and commonly evaluate popular products like tools, household electronics, lighting, batteries, audio/visual (A/V) equipment, personal protective equipment (PPE), and more. Help ensure compliance and quality: We provide performance and environmental testing and claim verification services to standards, regulations, and proprietary testing protocols for both product and packaging. We can also offer chemical testing to support your analytical needs. Ongoing innovations in product design and broad adoption of lithium-ion (Li-ion) battery technology have contributed to rapid growth in battery-powered appliances carried by many retailers. We offer expert services and custom solutions that pave the way for products to gain access to markets while helping ensure compliance and safety. Launch new products and boost customer confidence in North America and beyond with our global certification services.